​Whether you need airport drop off and pick up service or a ride home from a late night meeting, Albany Limo Service provides you with limo rental and executive car service at reasonable prices. We are the leading limo and taxi service business in the Albany, NY area. We provide our customers with dependable, reliable limousine transportation with our fleet of luxury vehicles. Each driver that is employed with us is insured and licensed, as well as trained to deliver high-quality customer service. You will be hard pressed to find another Albany, New York limo company that gives you the customer satisfaction that we will. We have 23 years of experience when it comes to giving superior limo rental and transportation service. When you decide to let us be of service to you, you will be treated with a level of professionalism and courtesy that you won’t find anywhere else. Our skilled staff will work endlessly to see that all your requests and wishes are met. We want your experience with us to be a good and memorable one. ​Regardless of the reason why you need limousine transportation service, we will get you there safely and in a timely manner. We own a wide selection of vehicles, each one in mint condition and ready to take you wherever you need to go. All you have to do is call us with your information and we will take care of the rest. If you’re planning a special event and need transportation service that you can depend on, look to us at Albany Limo Service! ​Albany Limo Service is a premier limousine service company, which means that you can expect superior service and complete satisfaction. 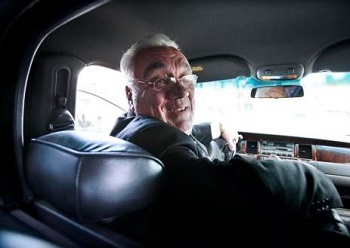 Over the years, we have provided the residents of Albany, NY and the surrounding area with top of the line limousines and luxury vehicles to anywhere they want to go. We provide the absolute best limo transportation service and will give you whatever you need in order to make you pleased that you chose us. Our chauffeured transportation service to you comes with no limits. Whether you have a red-eye flight or your child is going on prom, we provide limousines that are stylish and comfortable. You can just sit back, relax, enjoy the ride, and leave the driving to us. We want our company to the first one you consider every time you need a limo rental, as well as referring us to your family and friends. We provide executive car service for those times you just don’t feel like driving. If you plan on attending an all-day seminar, or you and your friends want to spend a Friday night drinking and dancing, let us get you to your destination safely. We are available 24 hours, seven days a week, to provide you with first-class limo and executive car service. If you want topnotch limousine service in Albany, NY choose Albany Limo Service! ​Whether you need a limo to your destination across town or a limousine for a special occasion, Albany Limo Service provides you superior, reliable transportation service. We are the premier executive car service and limousine company in the Albany, NY area. We offer limousine rental and executive car transportation to all the airports in Albany area, such as Albany International, Jerry Phibbs, and Duanesburg Airport. In addition, we provide airport transfers and transportation to other airports in nearby cities, like Stewart International and Bradley International. We have some of the best rates and services in ground transportation in Albany, NY and the surrounding areas. We give dependable limo transportation and airport transfers 24/7, 365 days a year. Whenever you need professional car service and limousine transportation, give us a try. Regardless of where you want to go, our friendly and courteous customer service specialists will be more than glad to assist you with your reservation or you can book it online. We have several different types of vehicles available, whether you are by yourself or with a group. All of our vehicles receive daily maintenance so that they are luxurious, clean, and comfortable. Albany Limo Service can deliver superior limousine or executive car service transportation to anywhere you need to be. With us is where your journey begins. Give us a call today! ​Whether you are in need of airport shuttle service or a limo rental for a sightseeing tour, Albany Limo Service will give you dependable transportation service at affordable prices. We have been providing outstanding service to a long list of clients since 1993. We service Albany, as well as nearby cities such as Latham, Watervliet, and Green Island. Wherever you need to go in the area, we will get you there quickly and safely. Our fleet of vehicles are cleaned and checked every day to ensure that they are in proper working condition. All of our limos are late models, and we have a wide selection to choose from. Whatever the occasion, we have the perfect car. With us, you will see that we are your one stop for transportation needs. We are the top corporate car and limo service company in the Albany, NY area, and we look forward to providing exceptional transportation service to you. Our drivers are professionals and our vehicles are superior-quality. Let us do the driving, while you sit back, relax, and be comfortable. Our complete satisfaction limousine services will get you to the airport or your event in total comfort and safety. We provide the highest quality Albany, New York area limousine services at reasonable rates. With our many years in the limo transportation industry, we understand the importance of dependability, service, and security. Our staff works hard to exceed the expectations of our clients. Our customers have become long time clients and have referred family and friends. We can arrange airport transportation to and from the airport. Our curb side drop-off and baggage service will have you feeling like a movie star. We satisfy the growing demand from the budget conscious consumer, while never giving anything less than first-rate customer service. Luxury and convenience is the cornerstone of our Albany limousine business. 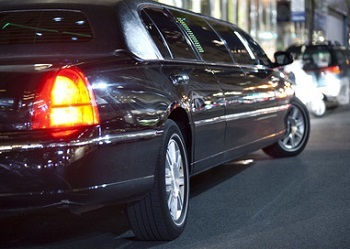 We can provide limo and luxury transportation services for a variety of occasions and events. Our fleet of vehicles is well maintained, excellent quality, and high performance, as well as providing the best in style and class. Our professional and courteous drivers are extensively trained to ensure every passenger’s safety to and from any destination. Contact us today to receive the personal, attentive care you deserve! Whether you live locally or are visiting the Albany area, we invite you to try our limo and executive car service to experience the difference that Albany Limo Service can make. Our door-to-door transportation service can take the stress out of deciding how to get to and from your destination. If you need affordable and dependable luxury transportation service, contact Albany Limo Service. We are a professional, dependable, and reliable Albany, NY area limousine transportation business. From wine tours to wedding transportation, we offer a number of limousine services for any special occasion or event. We made our place in the limousine industry many years ago when we realized that people wanted to travel in style at economical rates. Our goal is to provide comfort, safety, and satisfaction to all of our customers. We are the principal limousine company in Albany, NY. We have established an excellent reputation for delivering on time service with professional, courteous drivers. We understand the importance of giving hassle-less service to individuals who need to attend meetings all day long or to get to the airport for business or personal travel. We have the best chauffeurs in the industry. We believe in hiring extraordinary people first and then training them to the highest level of professionalism and customer service. This standard has always bolstered our client’s experience when traveling in one of our limousines. We pride ourselves on providing immaculate, well-kept vehicles, maintained with the best products on the market. 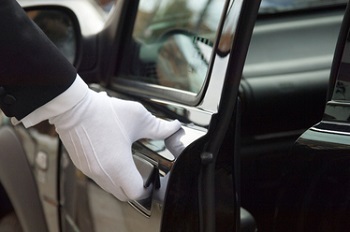 Our reservationists are the most courteous, friendliest, highly-trained individuals in the limousine industry, and we are willing to go the extra mile to see that your needs are met. If you want the finest Albany, New York limousine business, consider Albany Limo Service! Today, holding a party on a moving bus is considered to be the real deal in Albany. In comparison to fixed party locations, thousands of people find it edgy, stylish and the perfect solution for ultimate fun. This has not always been the case considering that when they were first introduced into the market it seemed like only young people were into them. However, that changed with time as more people discovered how valuable and fun they can be. Party buses are now commonly used for weddings, birthdays, bachelor party, homecoming, corporate events, clubbing, wild games, casinos, wine tasting and concerts among others. Holding parties no longer has to be an expensive affair thanks to party buses. In the past anyone who was not comfortable holding a party at home had to go through the hustle and logistics, of looking for an alternative space which meant extra costs. Not any more, party buses are not only ideal for partying but are also a cheaper alternative. Additionally, travelling together saves money that would have otherwise been used on separate fuel bills. The ‘Don’t drink and drive’ rule doesn’t apply to party goers. Their party bus services come with an experienced driver who know all the cool spots to hang out in. This allows the passengers to have the time of their lives without having to appoint anyone to be a designated driver. Whats more, they can be picked up and dropped off at their most convenient locations. Party buses make it easy for one to have their party in the middle of nowhere. Holding an outdoor party, say at a camp site or in the park, usually involves quite a number of logistics including picking out a suitable site, setting up tents, decorations and carrying warm clothing. With party buses, people holding parties simply need to call their friends, hire a party bus, grab some drinks& bites and drive off to their most ideal destination. The buses got all they need when going outdoors. In case of a large number of friends( more than 40) we could always hire two or more buses. Our party buses can be considered as a 10 in 1 package deal.They comes with a driver, impressive light show, light & sound system, DVD//CD player, comfortable seats, dance floor, complimentary bar, luggage compartment, bathroom and a television set. In addition, the package may come with a VIP access to some clubs and events hence no need for its passengers to queue. Sounds great, right? The bottom fact is, party goers are likely to acquire a higher value of services than what they actually bargained for. There is no better way to create an unforgettable party in Albany than hiring a party bus. Considering they are a fairly new idea, most people are still pretty much excited by them. 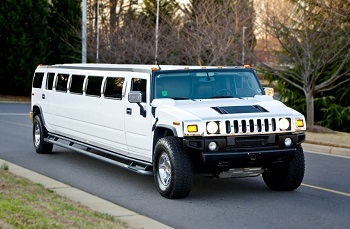 Limo party buses take the notch even higher.Limo's offer high end and fine tuned services to clients. Everything about them screams classy! From their elegant exterior look to sophisticated interior features. They are sure to leave tongues wagging for a long time. Unlike most party events which either restrict or limit the type and amount of food you can get in with, Party buses give party goers the liberty to choose. They can either utilize the extra catering facilities from the service provider or only pay the renting fee and carry their own beverages and food. Looking for parking spots and having to wait on each other are some of the troubles party goers going 'solo' have to face. In such cases, party buses come in handy, they can accommodate more than 40 people and ensure everyone gets at the designated destinations on time.Passengers also get look out for each other while having fun. Surprisingly, party buses are spacious and allow party goers sufficient area to move around freely. It also enables them have adequate leg room, stand move and dance freely. This can be attributed to the buses are creative design which cleverly intregrates luxurious seats and circulation spaces. Party goers do not have to wait to arrive at their set destinations in order to have fun, they get to have non stop fun as they move or change locations. They also do not necessarily need to have a specific party location as the bus is well equipped to cater for an entire party. 1.Party Limo buses- They are modified and specially tailor made to cater for a party of about 10 people. In comparison to party buses they can be said to be a more posh version. 2.Limo Services- They come with a chauffeur and can be used for airport services, weddings, corporate events and leisure rides. 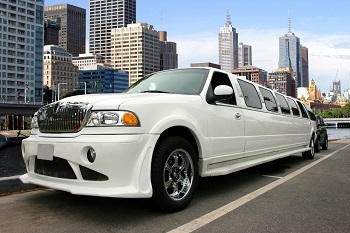 The Limo’s are available in several models to cater for different clients tastes and preferences. 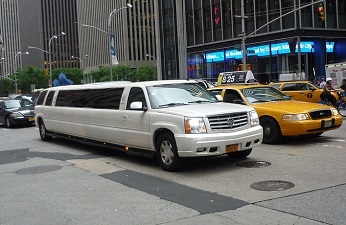 Depending on the model, a limo can accommodate about 6- 15 passengers. 3.Airport Transportation- There are a variety of vehicles to pick from which transportation services to and from airports. Their services are known to be professional, reliable and timely. 4.Shuttle services- They can be hired for private transportation and are especially applicable if several people or considerable amounts of luggage's are involved. The most cost effective way to hold an epic party is in a party bus. However, hiring one from an in-efficient service provider may lead to unforeseen breakdowns and failures. Such events usually dampen the moods of party-goers. Hence it is advisable to go for a trusted service provider.Given the positive feedback from a number of clients who seem to have really enjoyed their services, Albany party bus rental has proved to be the best party bus service provider in Albany, New York. To get a quote or hire any of their vehicles, feel free to visit our website.